Twelve years ago – in 2006 – I first found myself in Kond neighborhood. What does “found myself” mean? I actually went there to take photos. 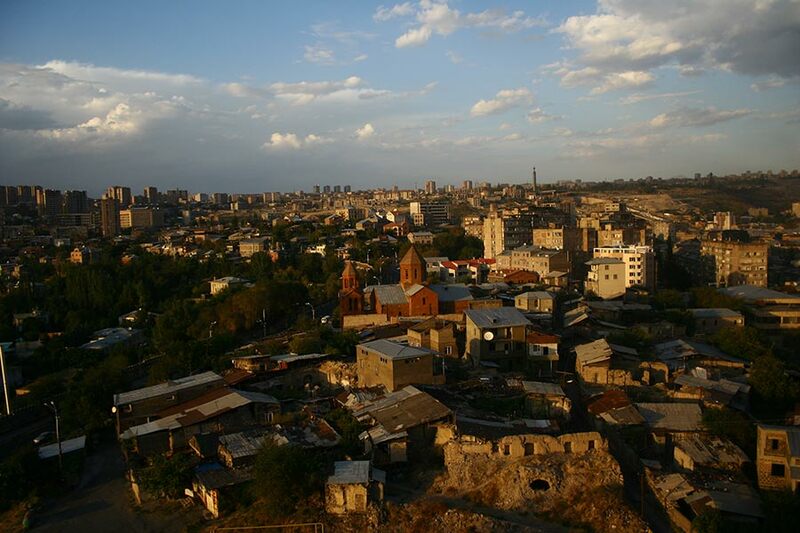 Kond is the oldest and the most interesting quarter in Yerevan. 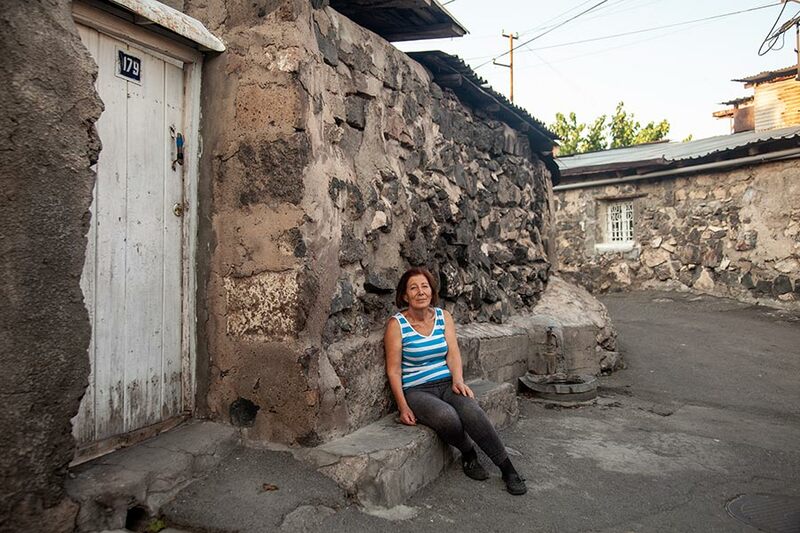 There were only three quarters in Erivan in the 17th century – Kond, Karahank, and, so to say, Old town. General view of Kond in 2006. General view of Kond in 2018. 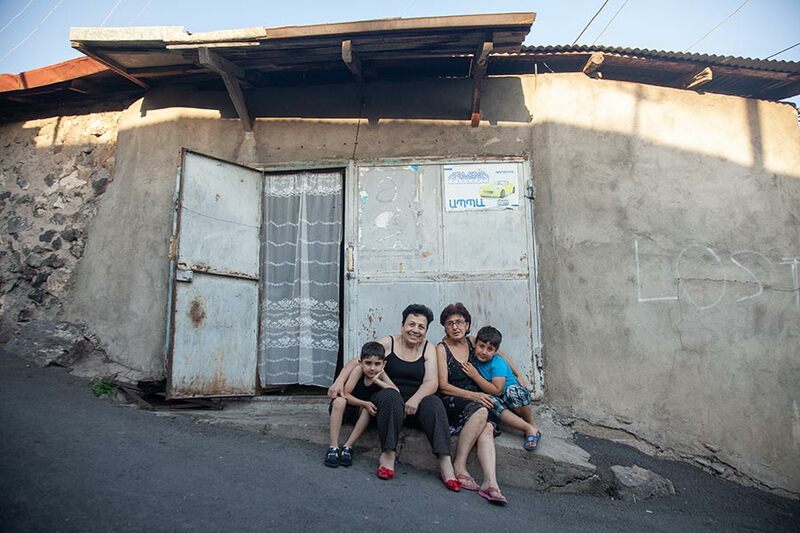 They were mostly inhabited by Armenians, but later Armenian Boshas came to live here (Wikipedia says so). 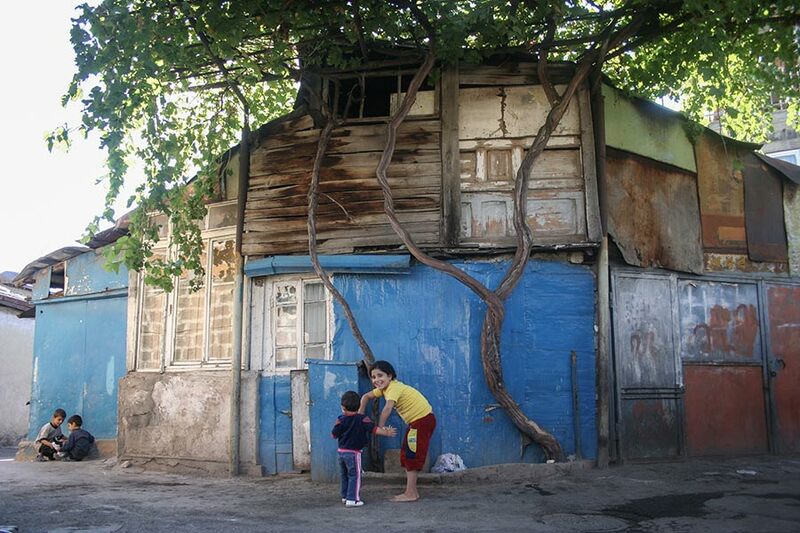 People living in Kond (kondetsi) can distinguish between the homes of Turks (muslims) at first sight. 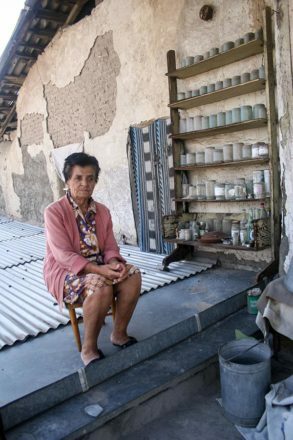 They are built with sawdust, small stones and mud. Seryozha Chobanyan, 65 years old. He is an electrician of cars. He is working in his garage, 2006. 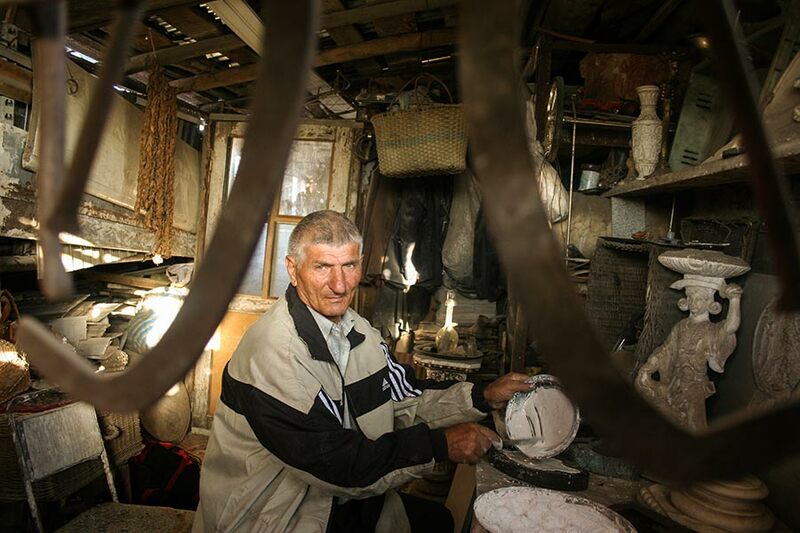 Samvel Chobanyan, 50 years old. The son of late grandfather Seryozha. He has turned his father’s garage into a living room, 2018. 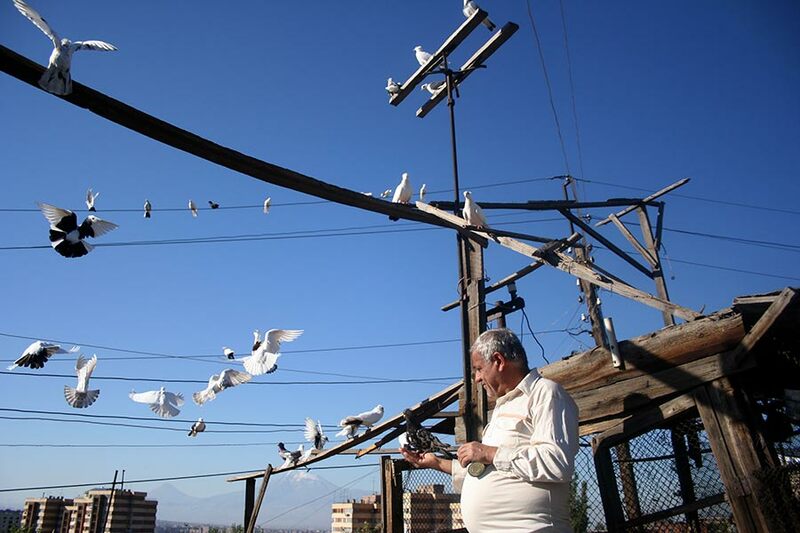 Rafik Manukyan, 68 years old. In his studio. 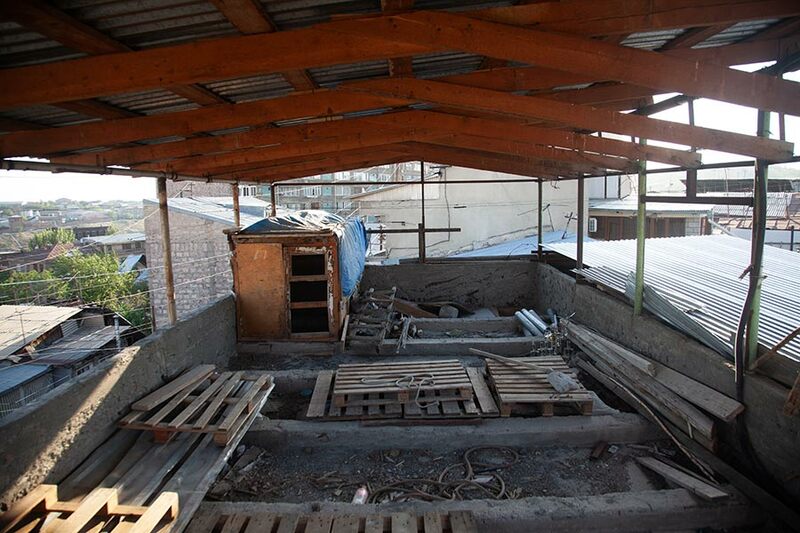 A constructor, a sculptor, he has built his house with his own hands, 2006. 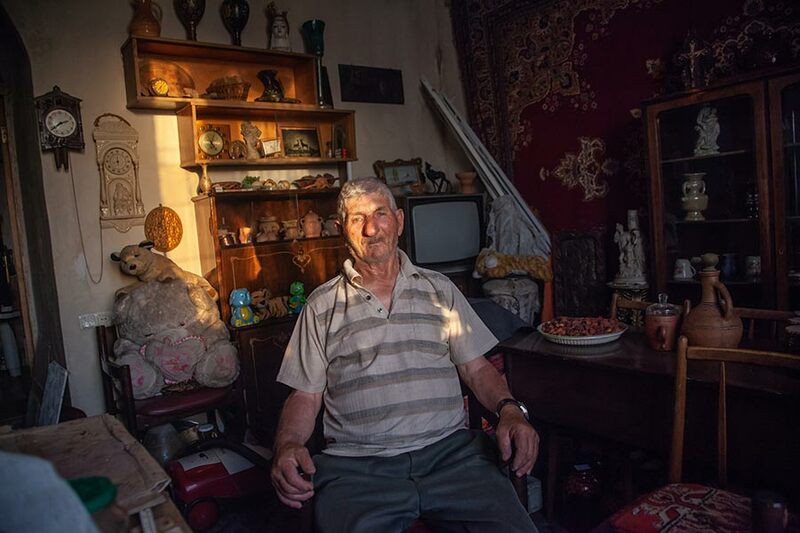 Rafik Manukyan, 80 year old. He does not occupy himself with sculpting any more, he has turned his studio into a living room, 2018. 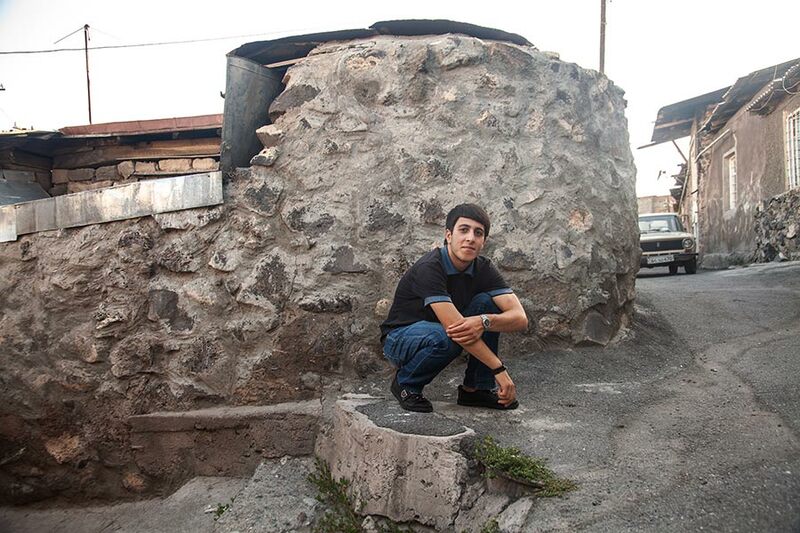 But Armenian masons used to built their houses with big stones and clay. Oh, that smell of clay! 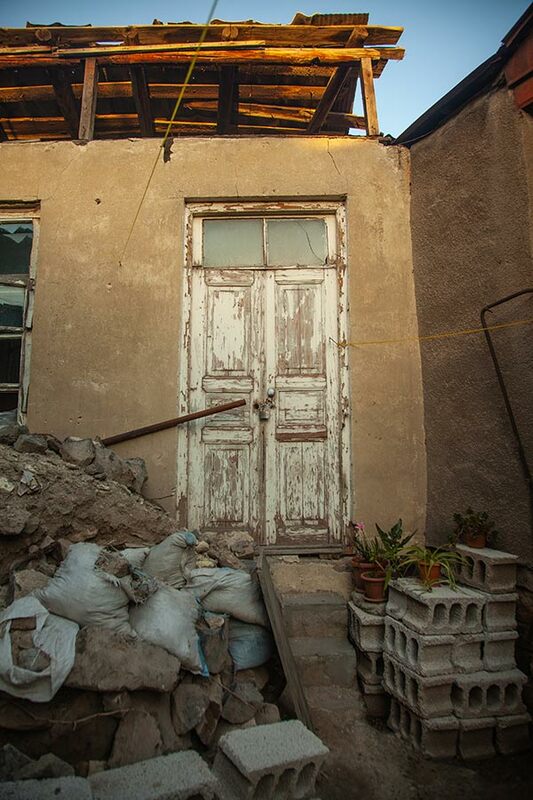 In the very first house, the doors of which Kond opened in front of me, I felt dizzy from that smell. Unfortunately, you can not catch it through the lens. Grandmother Kasya, 79 years old. She lived in Kond in the house of an American Armenian acquaintance, 2006. 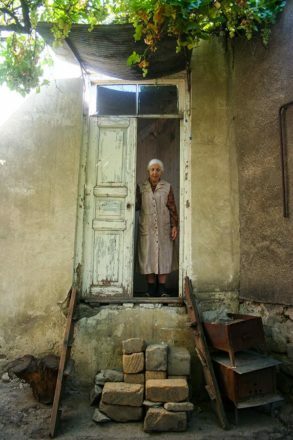 The locked house of the deceased grandmother Kasya. It’s already five years no one lives here, 2018. Kond was completely separate from Yerevan – stuck in time, a town living its own dreams in the heart of the city. Its school, its church, its sculptor, shoe-maker, electrician, pig farmer, beekeeper, dove-keeper. Pavlik Groyan, 55 years old. 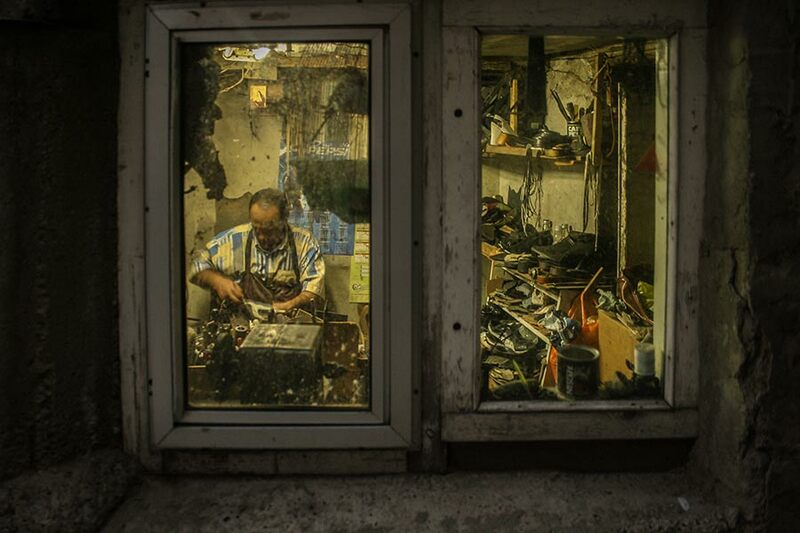 He is a shoemaker, 2006. 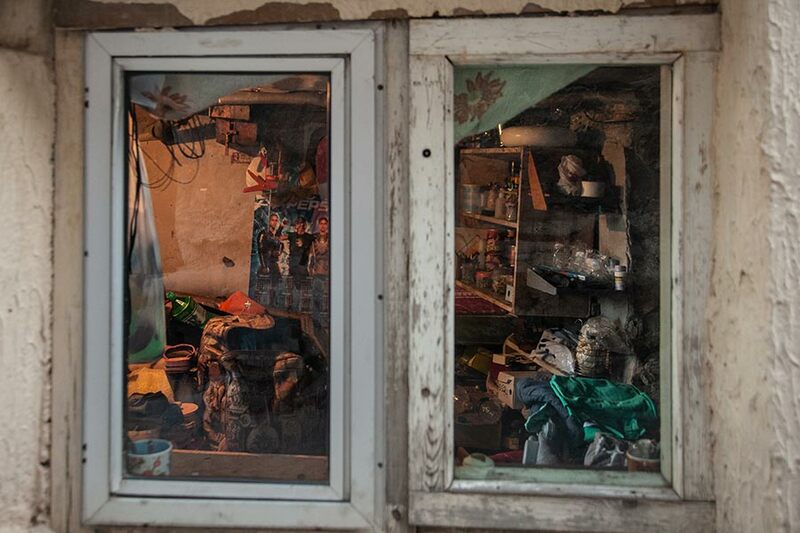 The studio of late Pavlik Groyan, which has turned into a closet now, 2018. 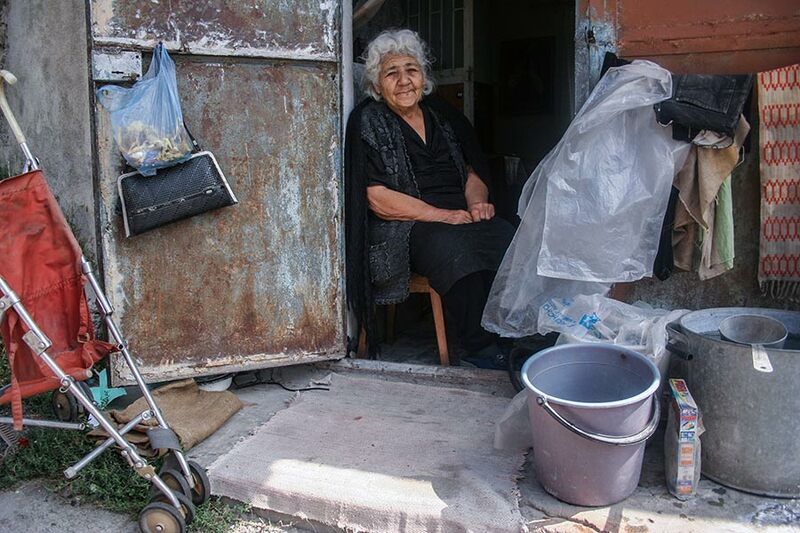 Anahit Ghukasyan, 65 years old, 2018. I used to pass my days in Kond on the roofs and take photos, I used to shout at the clouds shadowing the sun and take photos again. 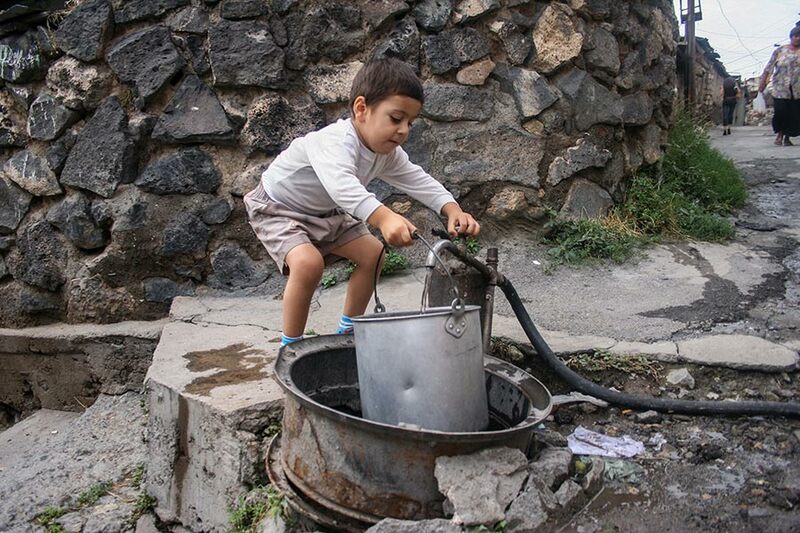 Everyone used to invite me in – kid, how you gonna stay without water, without Armenian Tolma dish? Arno Nikoghosyan, 5 years old. He likes to play at the threshold of the neighbors’ houses and close the already narrow path, 2006. Leo Nikoghosyan, 12 years old. The younger brother of Arno. He is playing at his brother’s favourite spot, 2018. Water was a separate story. 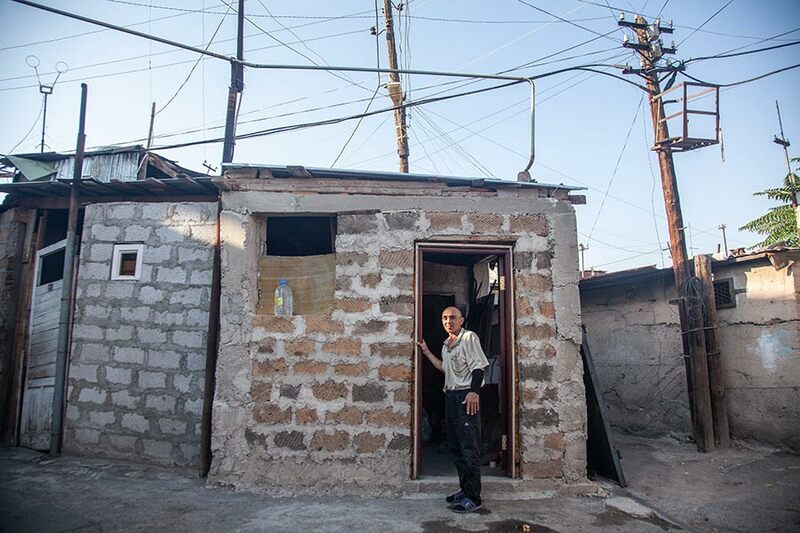 There was no water supply in the houses (frankly speaking, there was no sewage system either) and every morning before going to school the children fetched water in buckets from the taps in the yard to later manage to wear the “outdoor” clothing and run to school. I used to come early too to manage to make all this “immortal”. Hakob Zazyan, 4 years old. He is fetching water from the tap in the yard, 2006. 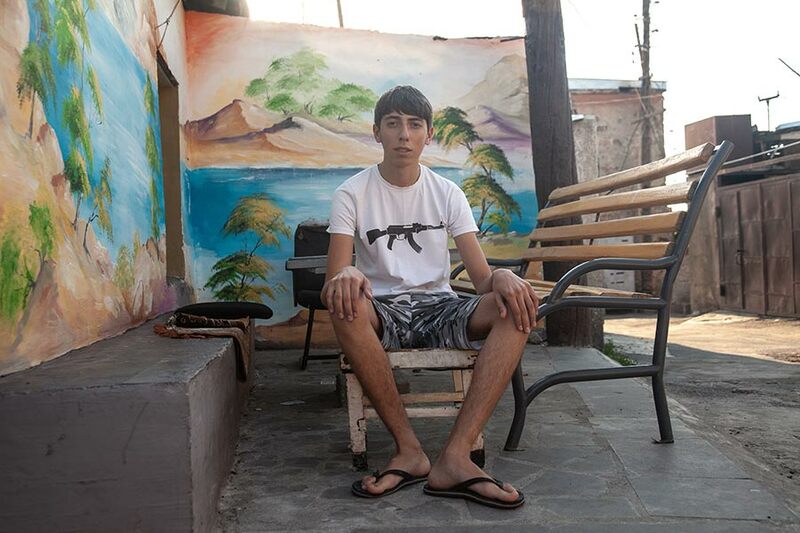 Hakob Zazyan, with a nickname Sevak, 16 years old. Why Sevak? Because he used to read Paruyr Sevak’s poems from an early age. He is a cook, 2018. Stella Sahakyan, 22 years old. Heghine Davtyan, 29 years old. The women of Kond wash their carpets, 2006. 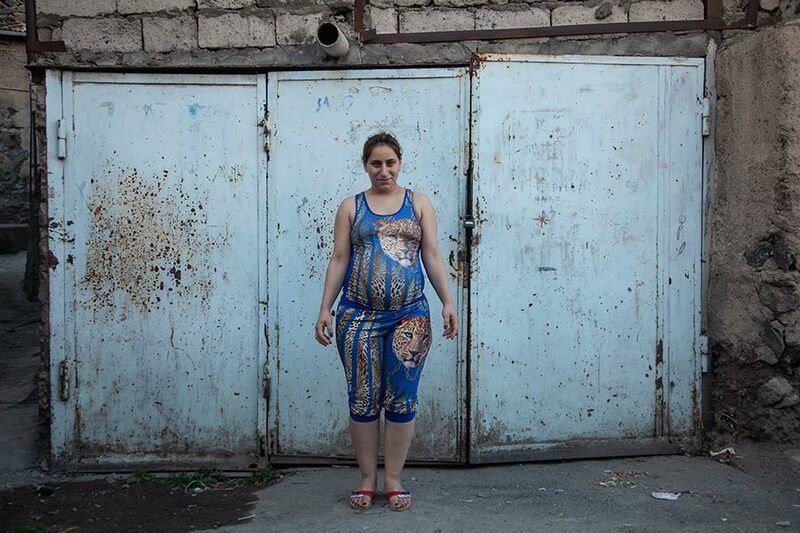 Stella Sahakyan, 34 years old. Heghine Davtyan, 41 years old. The women of Kond wash their carpets again, 2018. 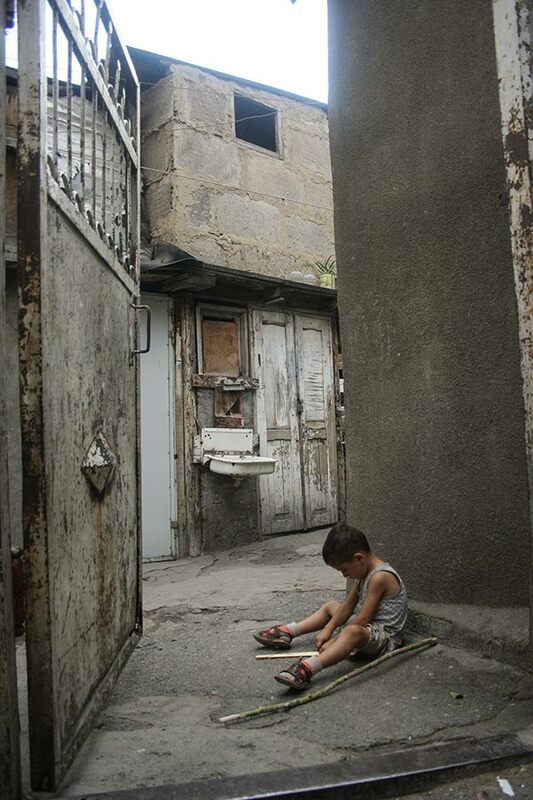 Edik Gevorgyan, 4 years old. 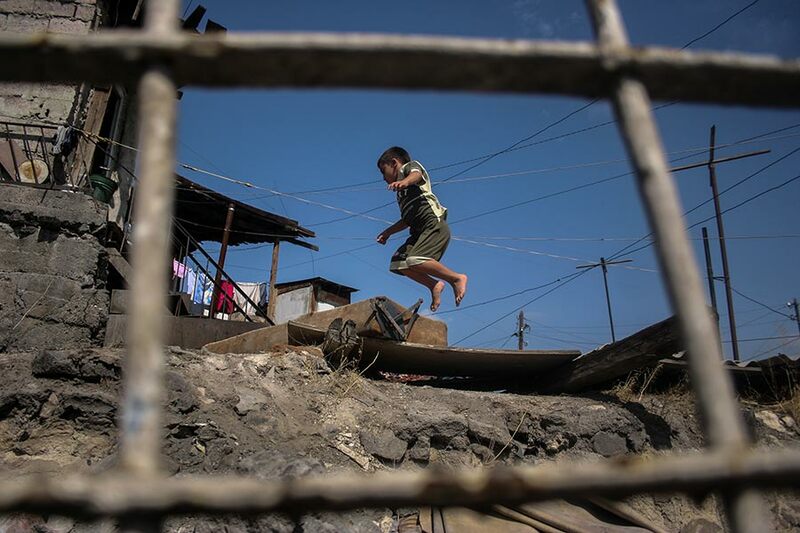 He was jumping on the roof, he was considered the most agile child jumping from roof to roof, 2006. 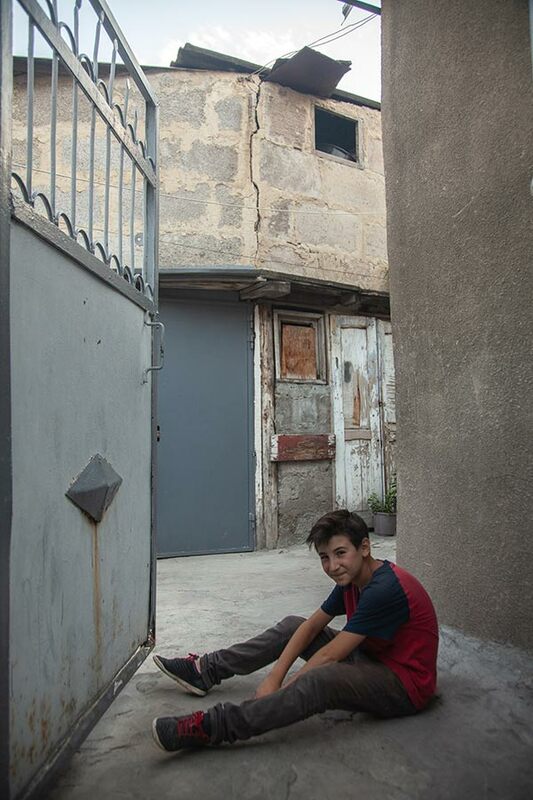 Edik Gevorgyan, with a nickname Edul, 16 years old. On the roof of the same house. He works as a manager today and occupies himself with sports, 2018. Gurgen Gevorgyan, 56 years old. 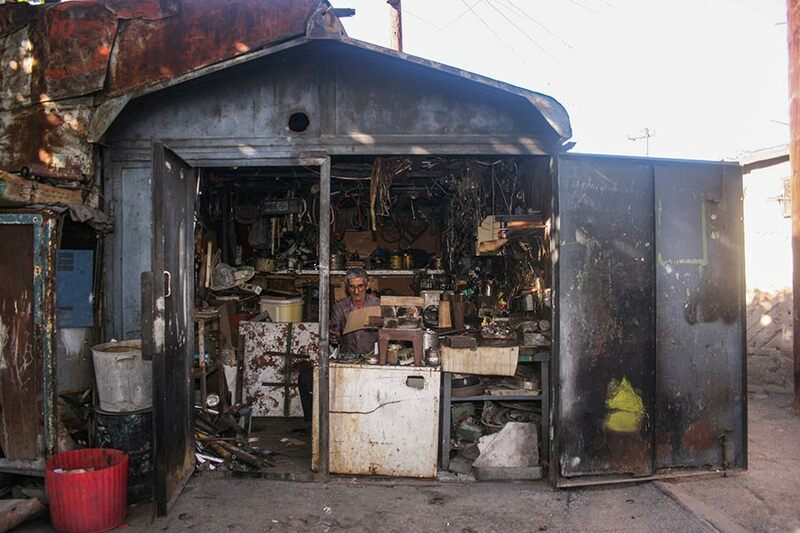 He is a shoemaker, but considers dove-keeping one of his occupations too. He keeps them on the roof of his house, 2006. The empty houses of doves. 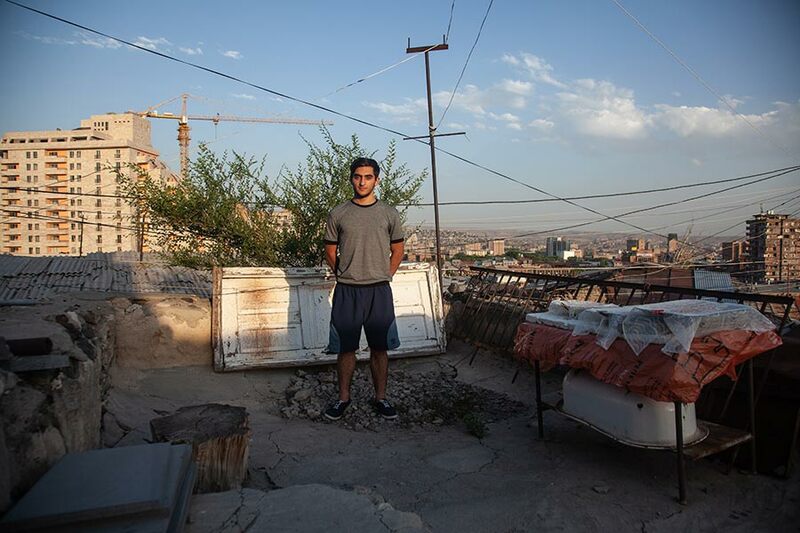 On the roof of Gurgen Gevorgyan. The owner has died, 2018. 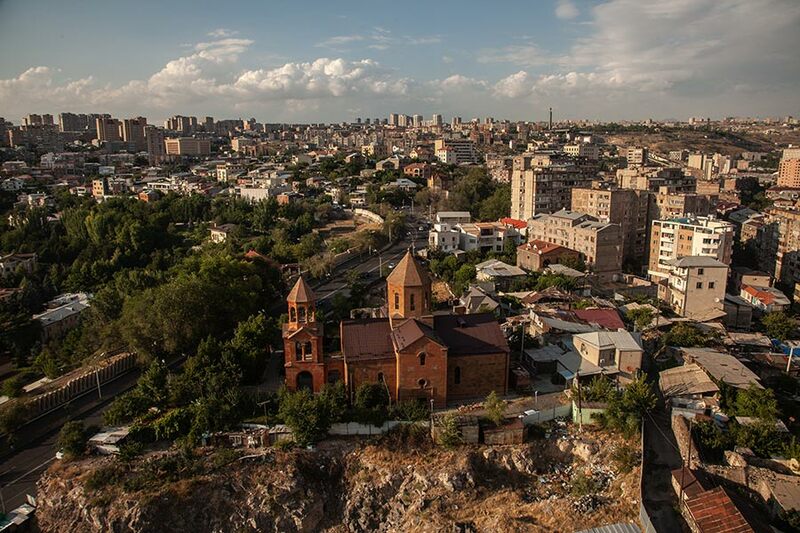 When I reached St. Hovhannes church, I saw an old, Kond-like door, I opened it and my heart sank: I found myself on the edge of an enormous pit, and an elite building going high into the sky on the other edge. I was late. But when after the first shock my memory began to function again, I noticed the narrow path at the side of the construction – “the secret” path of Kond. Nikolay Avetisyan, 8 years old. He has written his name on the metal board in their yard, 2006. Nikolay Avetisyan, with a nickname Nika, 20 years old. He is an actor at the Dramatic theater, 2018. That’s it. 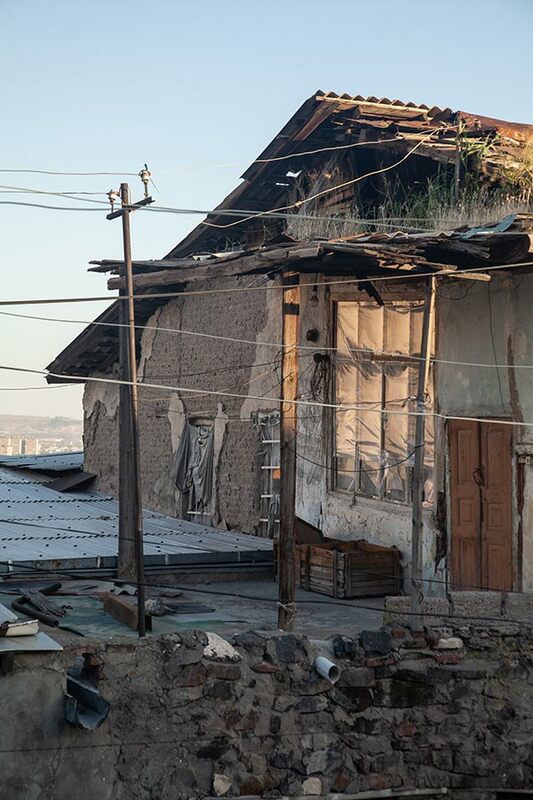 The same scene is in front of me (you can’t really say the same: the windows are renovated, there are stone houses instead of the garages, where there is normal water and sewage system). The children have grown up, one of them has become an actor, the other a goldsmith, and the funny beekeeper boy in his net-hat has become a sportsman. 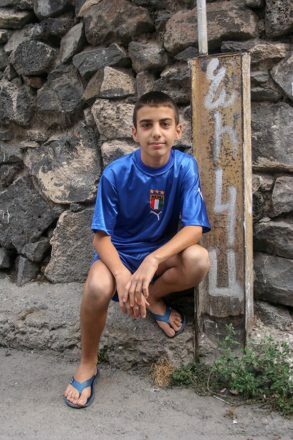 Tigran Vardanyan, 9 years old. 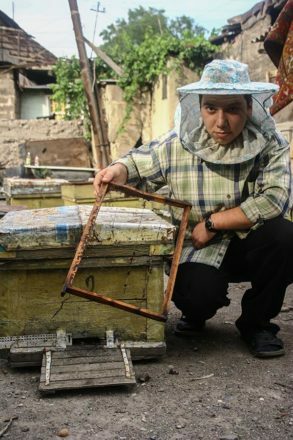 He occupies himself with beekeeping, 2006. Tigran Vardanyan, 21 years old. 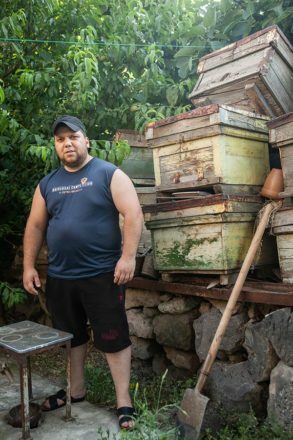 He does not occupy himself with beekeeping any more, so that the beehives are left unused. Tigran instead occupies himself with sports, 2018. Others have passed away already. Alas, grandmother Kalipse having met me twelve years before in Kond, has passed away too. She was the granddaughter of commander Andranik. She had never seen her grandfather, but her relatives told, that his character had passed to this woman with her nice and uncommon name. Grandmother Kalipse – the granddaughter of commander Andranik – in her balcony. She is getting ready to the season of canning, 2006. The house of the late grandmother Kalipse from the balcony of the house in front. The door is locked, 2018. 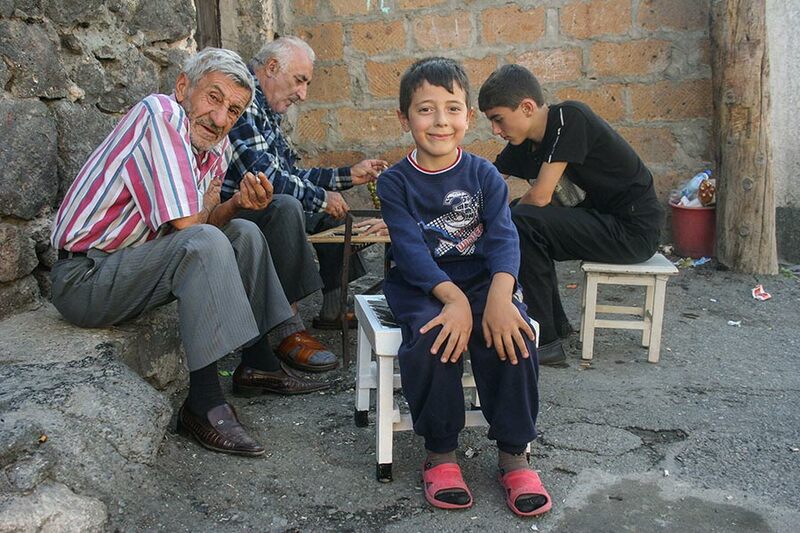 Narek Baghdassarian, 6 years old. At the favourite corner of the Kond backgammon players, 2006. 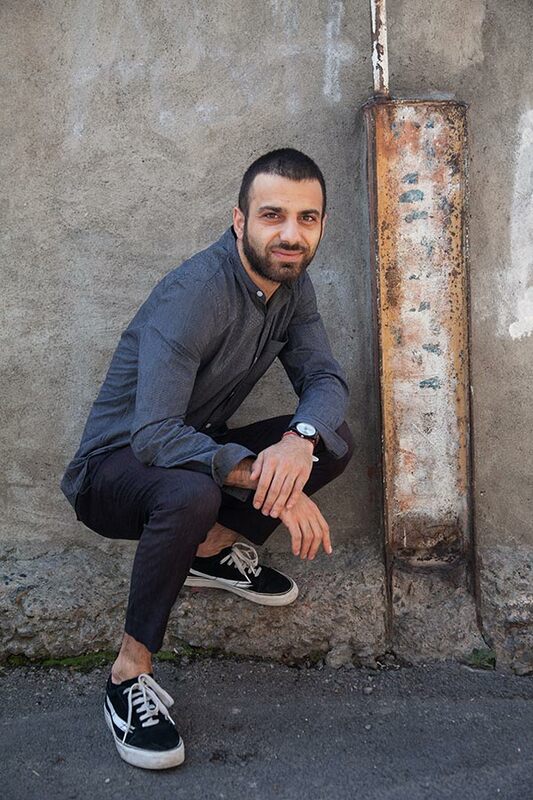 Narek Baghdassarian, 18 years old. He is studying goldsmithing. Today the old backgammon players do not exist any more, but this is, all the same, the most cherished and loved place in Kond, 2018. Zhenya Jayloyan, 79 years old. At her house, the doors of which are always open, 2006. 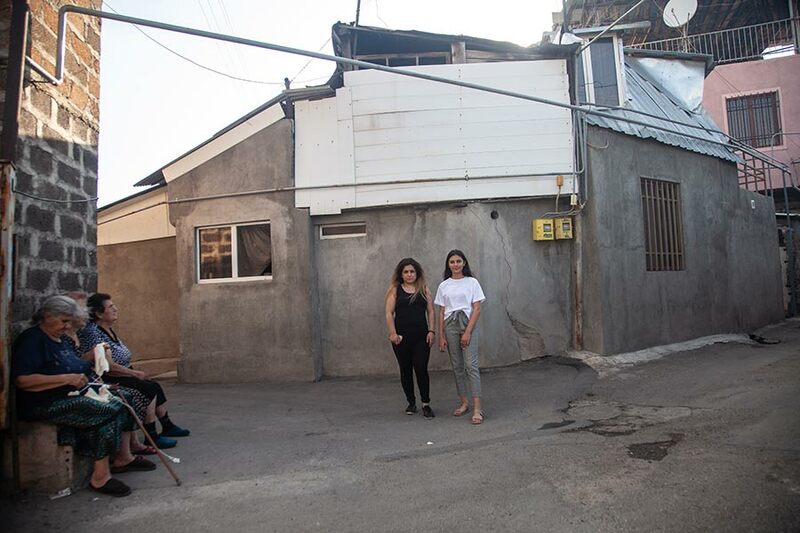 Heghine and Gayane Poghosyans - the daughters of grandmother Zhenya with their grandchildren in front of the house inherited from their mother, 2018. Anul Harutyunyan, 8 years old. Olya Safaryan, 1 year old, 2006. Anul Harutyunyan, 21 years old. Olya Safaryan, 12 years old. Anul is a hairdresser now, Olya goes to school, 2018. 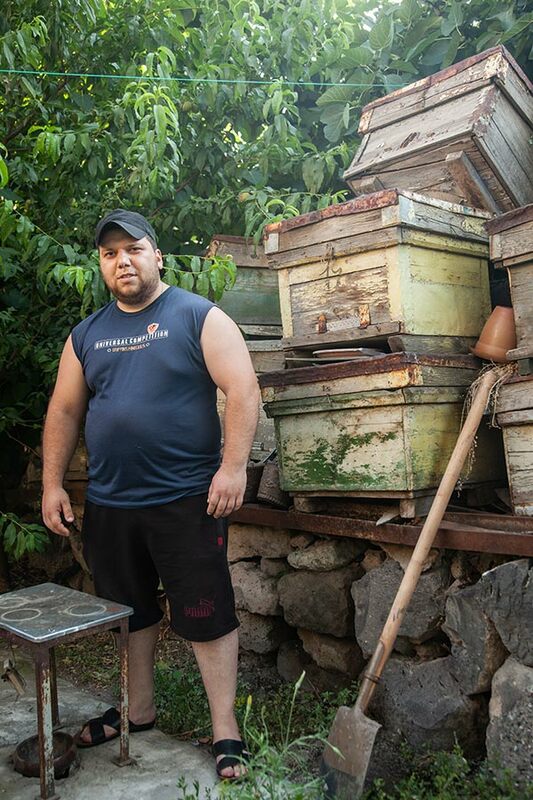 Arus Ghazaryan, 52 years old. She had her pig farm in Kond, 2006. Seda Ghazaryan, 26 years old. She is a housewife. 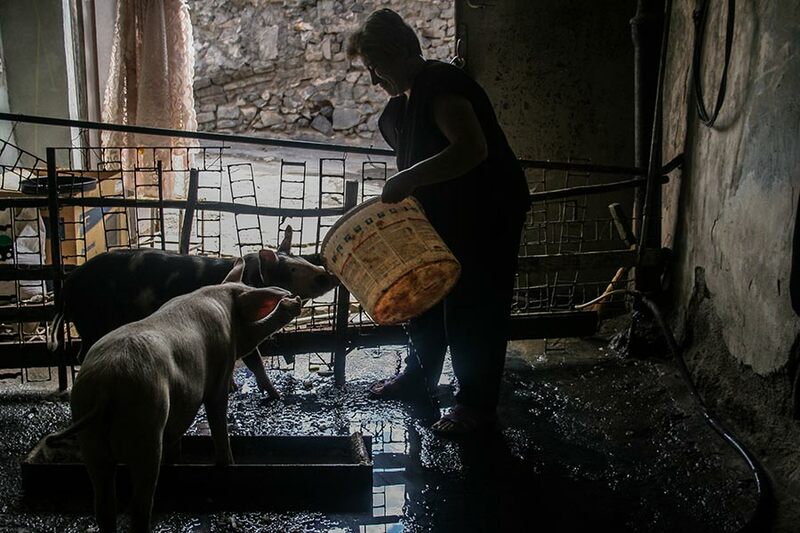 She lives with her husband in the house where her mother - Arus - used to live and keep pigs, 2018.